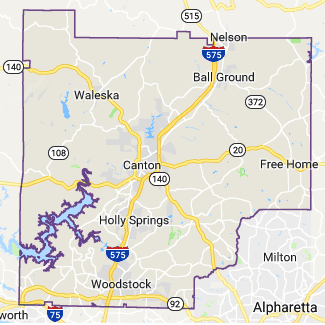 We are bail bondsmen with offices in Canton, GA and Jasper, GA. We are an affordable Cherokee County Bonding Company and Pickens County Bonding Company. Call us to get bail bond and open those jail doors fast. We provide 24/7 bail bonding services! Call 770-894-7575 now to get the fastest possible results. We don't judge anyone, we just help people in need. We know the frustration and anxiety you are feeling. We can be at the jail quickly to arrange bail bond for any charges. How Do You Bond Out of Jail? Never hired a bail bondsman or bail bond company? If you have never hired a bail bond company, go ahead and call us with any questions. Basically, we meet with you and provide the money to cover your bail and get you out of jail. The bail bonding process is sort of like we make a loan to you however; you have to pay us only a small fee, not repay the whole bail amount. 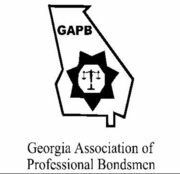 You may want to read up on How Bail Works in Georgia. We're here to help! Call when you need a licensed bonding company in Cherokee or Pickens County. Whether it is a DUI arrest, misdemeanor or felony arrest, our state licensed bondsmen can get you the bail bond money you need. We can also guide you through the bail bond process. How fast can I get someone out of jail? The sooner you call us, the faster we can get to you! We'll meet you at the jail, defense lawyers office or one of our convenient locations. We will guide you through our Fast Bail Bond Process. We accept credit cards, debit cards, money orders. We offer reasonable payment terms. We can help you to post a surety bond, and usually get a person out of jail within 1-2 hours of them being processed. Counties:Cherokee and Pickens Counties in Georgia. 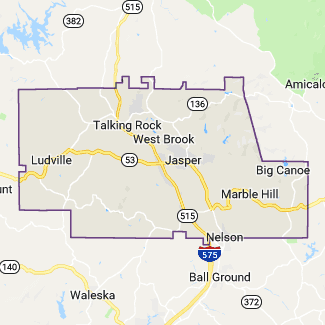 Cities & Surrounding Areas: We serve customers in these cities and nearby areas: Ball Ground, Big Canoe, Canton, Holly Springs, Jasper, Marble Hill, Nelson, Talking Rock, Waleska, Woodstock and surrounding communities.